French Beans, which are most commonly available , are called Huralikayi in Kannada, and Farasbi in Marathi. I use them in my cooking fairly often. Elsewhere in this blog you will find recipes for Farasbi chi Sabzi, from Maharashtrian cuisine, our Konkani Beans Talasani, and French Beans and Garlic made in the Indian-Chinese style. Sometimes the simplest of dishes turn out to be the best! Today's recipe is for an easy to make stir fry using French beans. 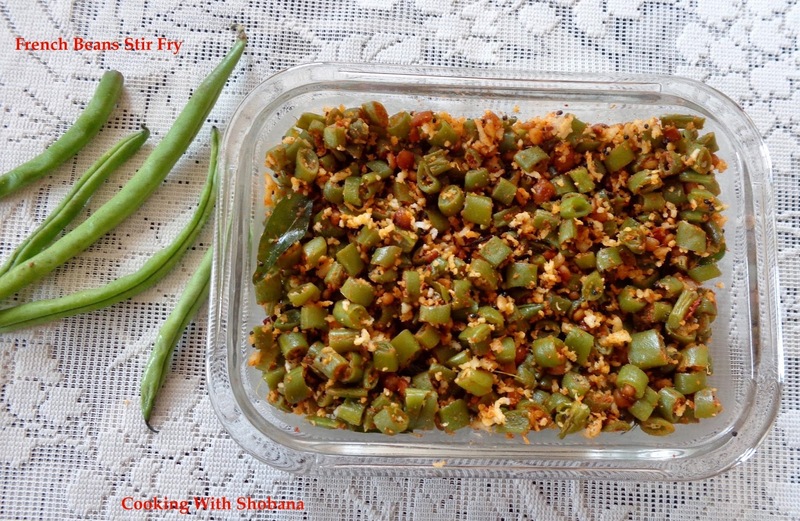 This side dish can be made using green chillies for seasoning but I prefer not to use them as they look very much like the cut beans, unlike the broken red chillies. 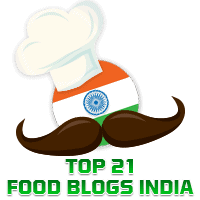 I use the store bought MTR Sambar Powder which adds to the flavour of the dish. Tip : for best results, choose tender French Beans. If they are not tender they could become chewy. Wash and de-string the French beans and snip off the two ends. Chop the beans and keep aside.